-6:30 pm Kitsap Great Give Benefit for Suquamish Community Kitchen – Stop by for some hors d'ouevres! 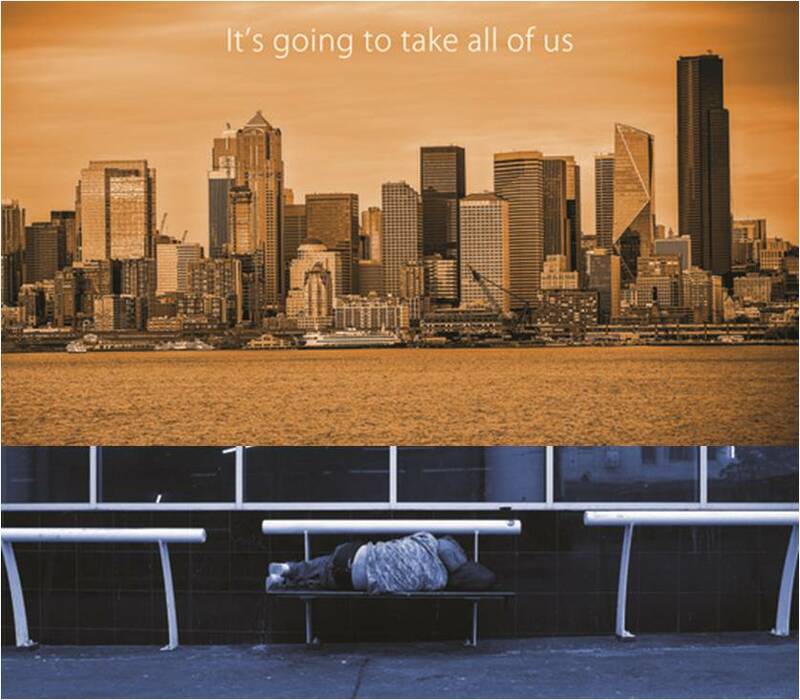 This detailed, intimate documentary about homelessness in Seattle humanizes the victims of the housing crisis, with in-depth interviews of homeless people and visits to local homeless camps, including Camp Second Chance in West Seattle. Also shown are people who are working hard to help their homeless neighbors. In April we take up the book "Meister Eckart: Mystic Warrior for Our Times," by Rev. Matthew Fox. Meister Eckhart lived in the 13th century, and few people were aware of his writings until recently. A mystic warrior ahead of his time, there is much he can teach us. In this book, Matthew Fox creates metaphorical meetings between Eckhart and Teilhard de Chardin, Thich Nhat Hanh, Carl Jung, Black Elk, Rumi, Adrienne Rich, and other radical thinkers. The result is profoundly insightful, substantive, and inspiring. How do these ideas affect us and what we do in our lives? Join us each Saturday for thought-provoking discussion! Dances of Universal Peace are meditative, spiritual practices using the mantras of all world religions — including Sufi, Hebrew, Buddhist, Native, and Christian — to promote peace. Come open yourself to the Silence with gentle body movements. No experience is necessary. The dances are simple and are taught each time. Want a little quiet time before "church" or even instead of it? Meet others in the Harmony Room for inspiration, contemplation, and meditation. Participants comment that they find the quiet nurturing, rejuvenating and filled with compassionate energy. All events take place at the Suquamish UCC Church unless otherwise stated.